Happy Friday! If you happened to be in Homer Babbidge today I hope you brought a sweatshirt! The steam shut down was longer than anticipated so it was pretty chilly. 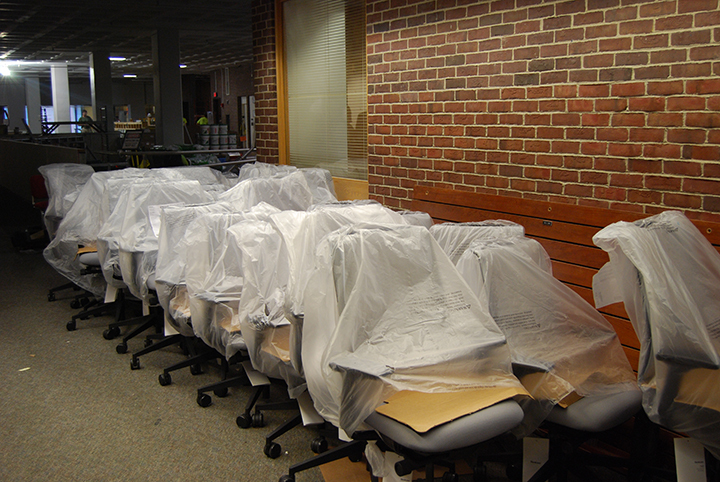 Today we had the pleasure of showing Simon Neame, Dean of the UMass Amherst Library around the changes while he visited and we snapped a few photos to share. See that wall? This is what will soon become bar top work stations all around the raised floor where the desktop computer were. This is wild – see that circle. 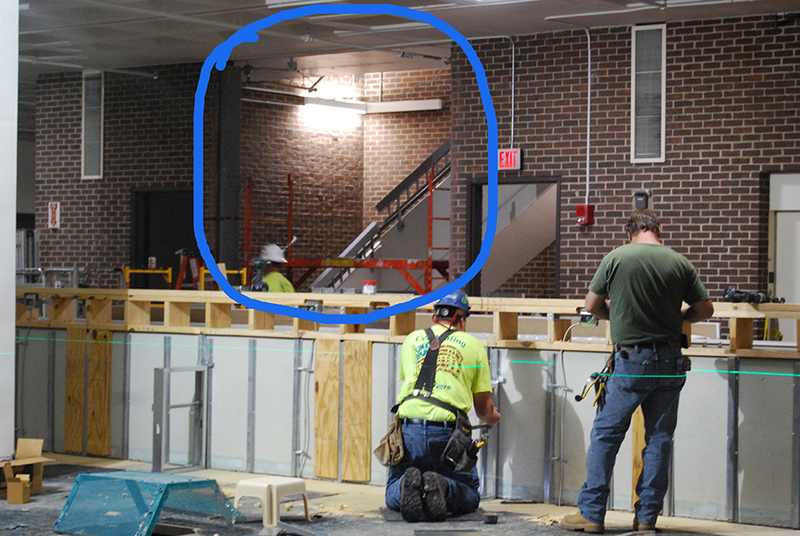 That used to be a brick wall and now it’s open. 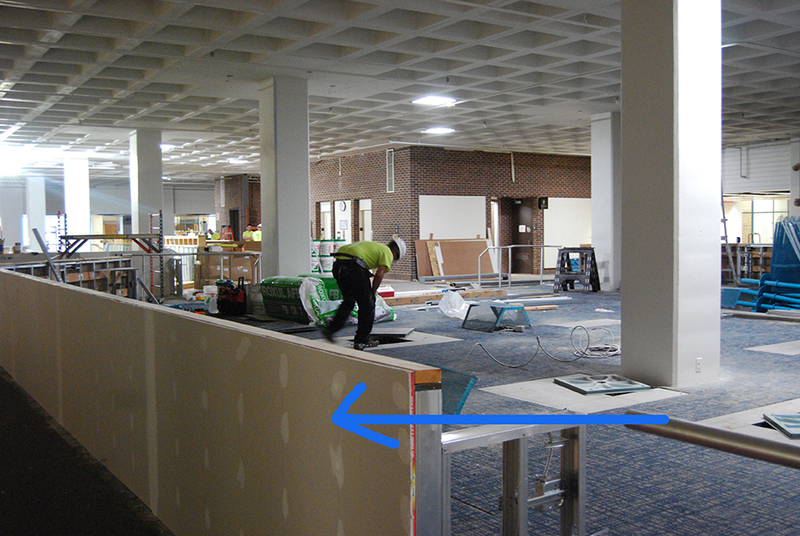 This is partly why things have been so loud and why the center staircase has been unavailable this week. 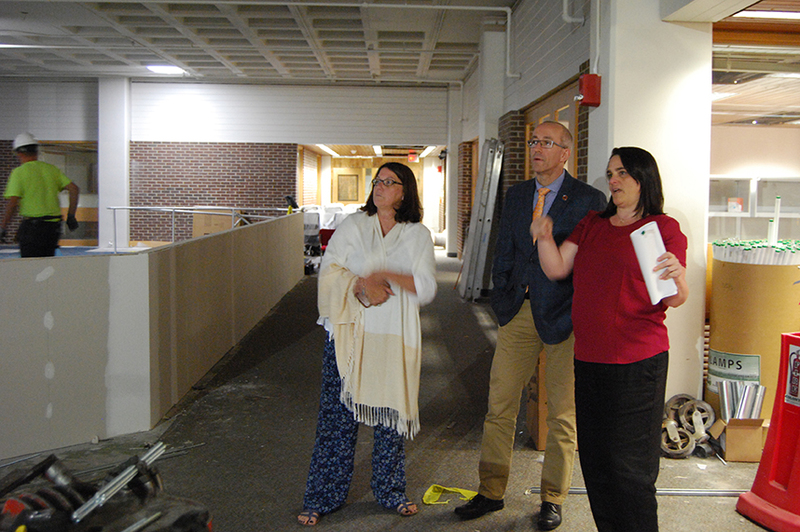 Martha Bedard, Vice Provost and Simon Neame, Dean of the UMass Amherst Library get an update from Holly Phillips, Assistant Vice Provost. 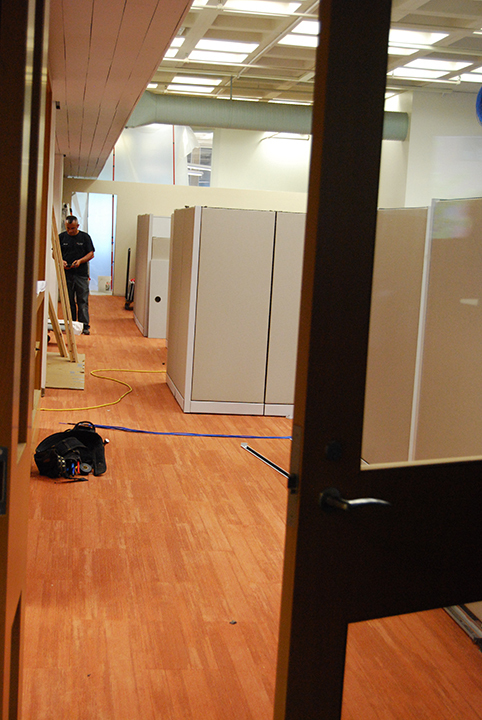 Getting ready to welcome UITS Service Center offices.